The Final Four of College Chess was won by The University of Texas Rio Grande Valley (UTRGV), for the second year in a row. Webster University (Webster) was second. The University of Texas at Dallas (UT Dallas) was third. And Harvard University (Harvard) was fourth. This article provides round-by-round results and two chess problems, taken from games in rounds 2 and 3. First, the round-by-round results. For each game, a win is worth 1 point and a draw is worth .5 points. Each round featured four players from each team. In the Final Four of College Chess, formally known as the President’s Cup, the game points determine the winner. UTRGV not only scored more game points than its rivals but also won all of its rounds. Surprisingly, no one who entered the SparkChess contest picked UTRGV to win in 2019. ﻿﻿﻿﻿﻿﻿﻿﻿﻿﻿﻿﻿﻿﻿﻿	In round 2, Grandmaster Vladimir Belous (UTRGV) had White against Harvard’s fourth board, National Master Bryan Hu. Here is the position right after Black’s 15th move. What do you think White should play on move 16? From my home in Texas, I watched the game and listened to commentary provided by Grandmasters Maxim Dlugy and Irina Krush. Krush bet Dlugy 25 cents that White would not play 16. Ba5. Dlugy was exuberant when Belous played the move. Use the interactive game above to see why it was such a great move. You can use the Prev/Next buttons below the board or click on a move so see how it would play. Since I work for UT Dallas, I watched the UT Dallas games in every round. The top board for UT Dallas is Grandmaster Anton Kovalyov, who defeated former World Champion Viswanathan “Vishy” Anand in a 2017 World Cup match. As Kovalyov mentioned in this World Cup video, he is studying for a Master’s Degree in Computer Science at UT Dallas. In the 2019 Final Four of College Chess, Kovalyov drew in rounds 1 and 2. But in round 3, he won his game against Harvard’s Grandmaster Darwin Yang. Before you find Kovalyov’s move, here are some definitions you will need to know. Winning an exchange means gaining a rook for the cost of a minor piece. A minor piece is either a bishop or a knight. And the reason it’s called a “minor” piece as that it cannot deliver checkmate in an endgame with just kings. That is, king and bishop versus king is a draw, as is king and knight versus king. In contrast, a major piece (a queen or a rook) can checkmate with just a king’s help in an endgame with no other material. A king and queen versus king is a win; likewise, king and rook versus king is also a win. After move 37 (White’s move 38) in Kovalyov-Yang, how did Kovalyov win an exchange? Had Kovalyov drawn instead of won, UT Dallas would have tied its last round with Harvard, as the UT Dallas students playing boards 2, 3, and 4 drew their games. Next up for all the Final Four of College Chess students: final exams at their respective universities, and the end of another school year. Alexey Root is a Woman International Master and the 1989 U.S. Women's chess champion. Her peak US Chess rating was 2260. She has a PhD in education from UCLA. You can find her books on chess on Amazon.com. Final Four of College Chess – and YOU could be a Winner! Buzzfeed thinks you should try SparkChess as a hobby. 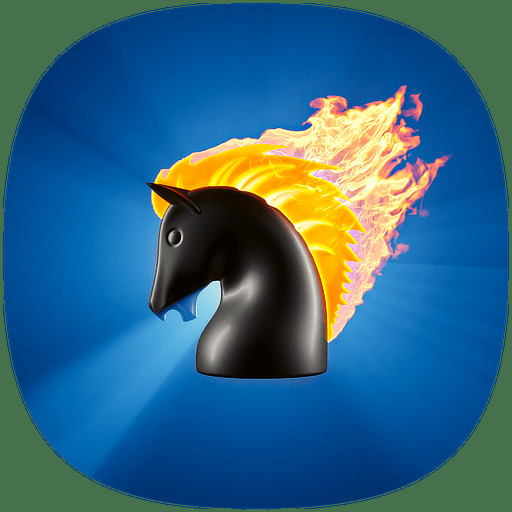 SparkChess demoed by Google for Chrome OS – the article is about Chrome OS and Chrome notebooks, but SparkChess, with its pretty graphics and impressive functionality was the the highlight of the presentation. Q&A with SparkChess’ author – an interview conducted by Adobe with many technical insights. The Best Online Sources to Play and Learn Chess – another old review of the old SparkChess (flashCHESS III) as well as other sites.